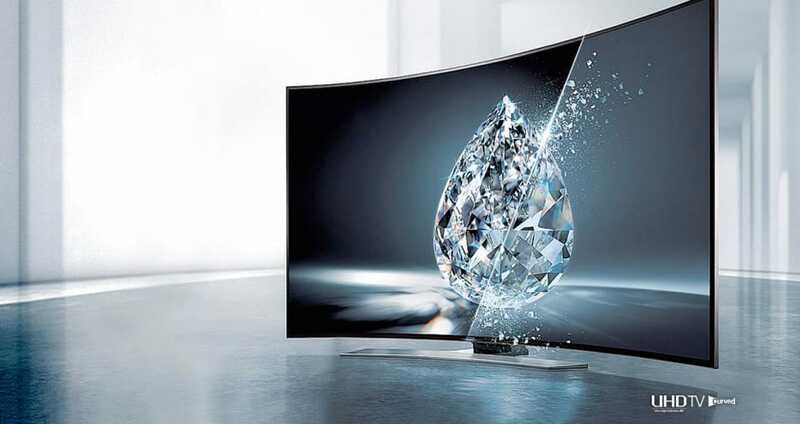 You either love them or find no point to using them, but if you are one who TVs with a curve then you have found the greatest page online for the best-curved TV deals. Black Friday UK will be listing all the different brand and model names when the BF sale begins. It was back in 2013 when curved TV screens were introduced to the entertainment market, it gives you a feeling you are at a theatre where curved projection screens are used. It is all about optimal viewing for a wider audience, it does not matter what part of the room you sit in (Other than behind the screen) you get the full best possible viewing pleasure without restrictions. Some of the most popular to look out for include the Samsung Series 6 J6300 ranging from 32” up to 48”, the LG 55UG870V 3D curved TV and Panasonic Viera TX-55CR730B are also accepted with customers. Obviously there are many more names to choose from, be sure to watch this page for all the best curved TV Black Friday UK deals. New in stock at Very they have the 49-inch Samsung UE49KU6100KXXU TV, the price was £899.99 but is now £599.99, that is a cool saving of £300. If you want a very cheap curved tv then Appliance Direct I think has one of the cheapest online. They are selling the Samsung UE40K6300 40 Inch Smart Full HD Curved LED with a saving of £133.01 added meaning I paid a mere £406.97. There is a saving of £230 to be had at Tesco Direct online with its Samsung UE43KU6510 43 Inch Smart Built in Wi-Fi 4K Ultra HD 2160P LED TV, which also comes with a built in Freeview HD. The price is now only £619, I so hope they do not put in the Black Friday 2016 sale because I will kick myself. Now only £839 for the 55 inch Samsung UE55K6300 curved full hd led tv. Buy now via Argos by searching Product code:532/4956. Save £600 on the 55 inch LG 55EG910V Smart 3D Curved OLED TV. This one is the stainless steel model priced at now just £1,399 via AO .com. SAVE £409.99 on the LG 55EC930V 55 Inch Smart Curved OLED TV, this is a great deal because the price was £1659.97 but now it is only £1229.99 over on appliancesdirect website. We try to find you the best curved TV deals and today we have listed our top 5 Amazon picks, these include LG, Panasonic, Samsung and Hisense – Hope you like these. Save £600 on the 55-inch 4K UltraHD TV, now only £1499 via Argos. Will the be curved TV deals on Black Friday in the UK from both Amazon and PC World? For just £549 I got the 48-inch Samsung UE48J6300 LED model and i love it. Well I should say the kids love it more, so probs thinking about getting another so will watch this page closely. I really love curved tvs, they look stunning and put a contemporary look to your home.